Edme will be open to the public during the regatta from 10.30am - 4pm. Easily accessible from the Town Pontoon at Brightlingsea Hard. Tea and cake available while it lasts! 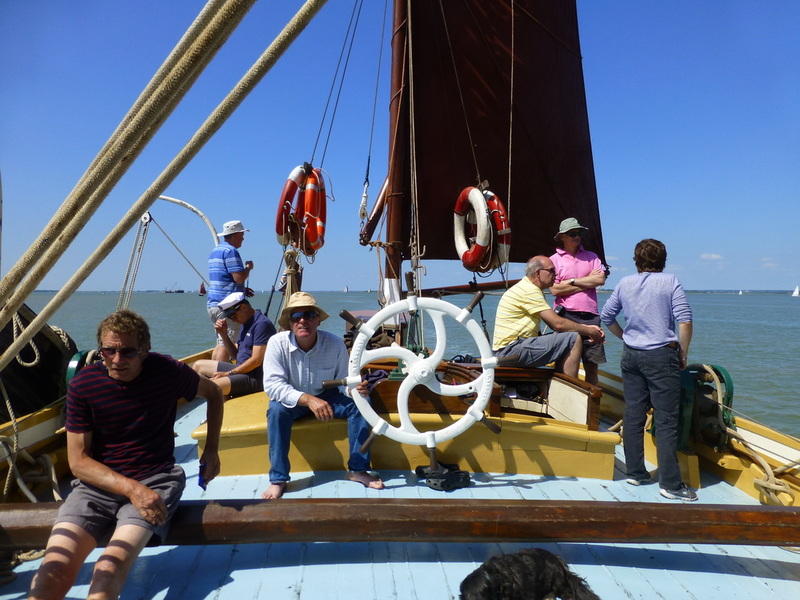 Come for a day sail with us! 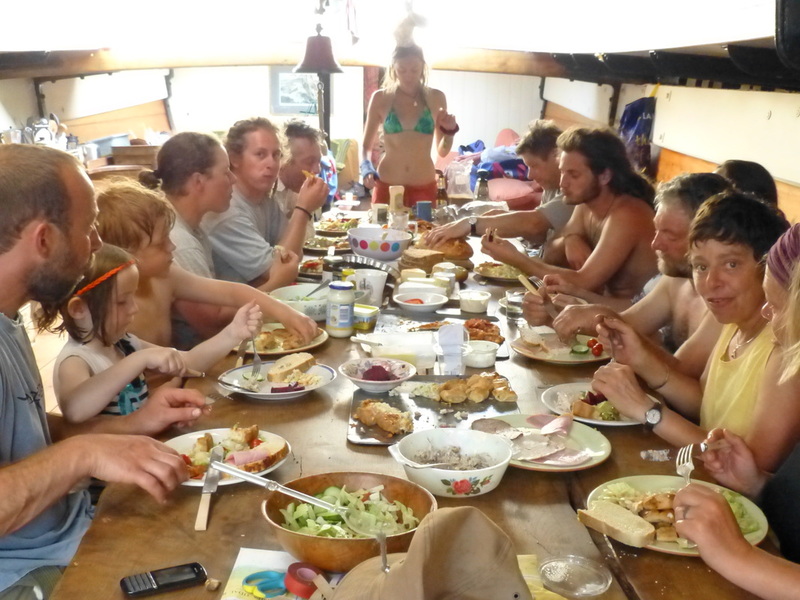 We offer a unique experience relying on breathe of mother nature to create a truly memorable day out on the water. We offer a delicious home cooked buffet lunch with cakes and refreshments served throughout the day. 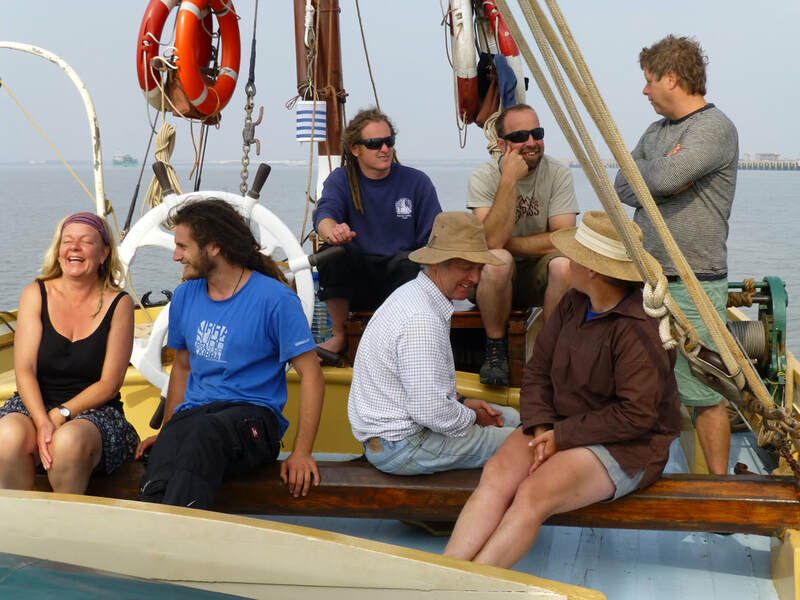 Our crew are friendly and encourage involvement if desired, welcoming questions. At the utmost we pride ourselves on the care and attention given to each individual onboard. This year we are offering a limited number of spaces on board Edme for this seasons races. Racing is extremely competitive and the crew keen to win.! 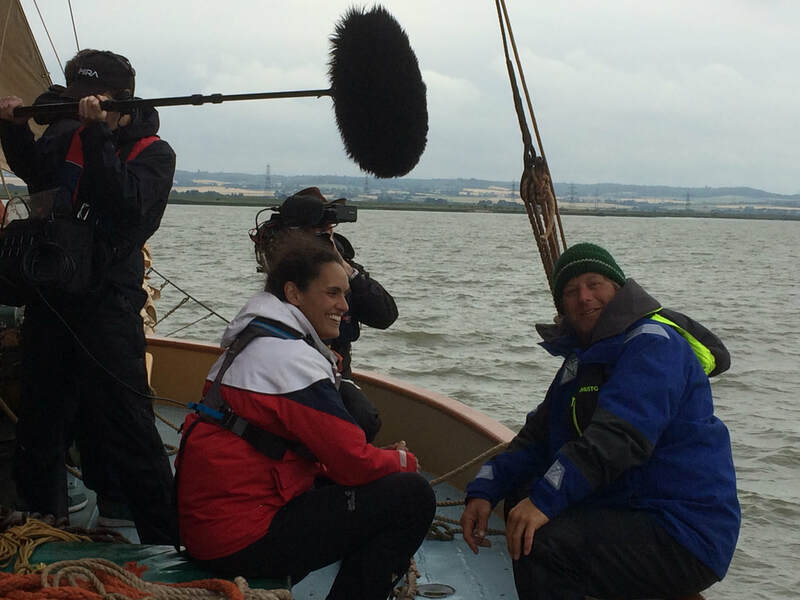 The BBC were on board Edme last year filming for a new series called 'A Floating History of Britain'. she is 120 years old! who are still trading today. Edme stands for English Diastatic Malt Extract. 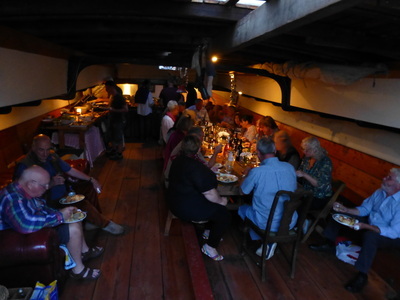 At 80ft long, 18ft wide and drawing 2ft 10"
Why not join us to celebrate this special year. 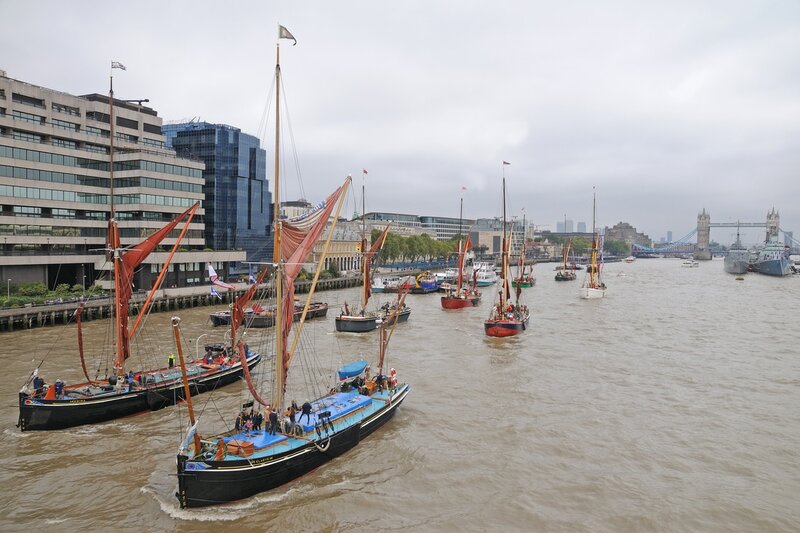 in annual East Coast Sailing Barge Races. 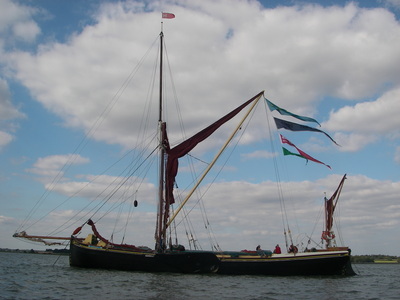 Her present owners took her on in 1989 and have enjoyed considerable success in the annual East Coast Barge Races, taking the annual accolade of 'Champion Barge' many times since her arrival on the race circuit in 1992. Being one of only three engineless barges sailing today, she takes pride in her sailing skills. 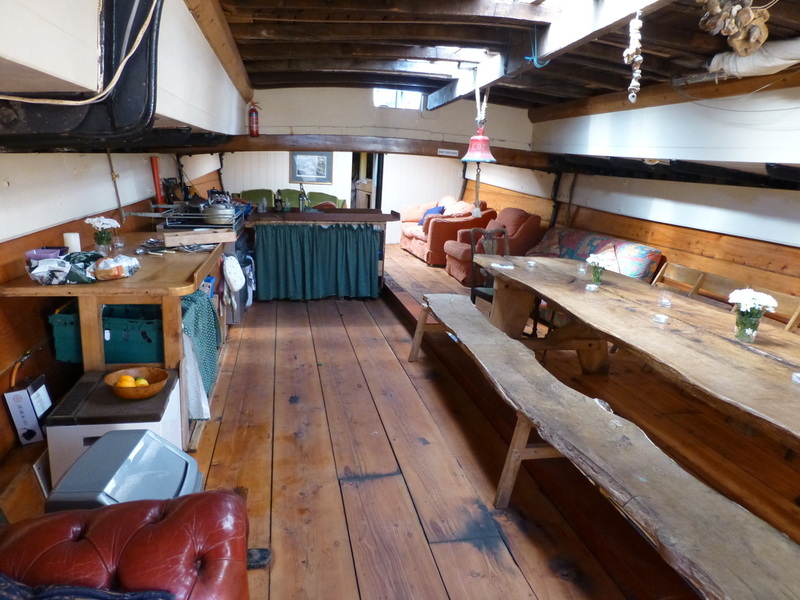 With little alteration since she was built, her large cargo hold below deck, makes for a great open space. She is kitted out with comfy sofas, a 'Galley' and a very large dining table. Berths are situated at either end of the barge.